The graphic on the Wolf harmony Puzzle is beautiful. 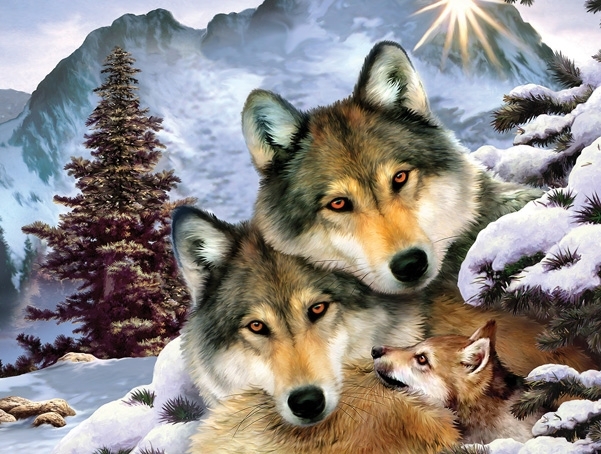 It is of a beautiful Wolf family in a snowy setting. This Wolf puzzle is 100% made in the USA using eco-friendly, soy-based inks on recycled board. They puzzle comes nicely boxed with a picture of the puzzle on the cover. Perfect for young or new puzzle fanciers who don't want have a lot of time.